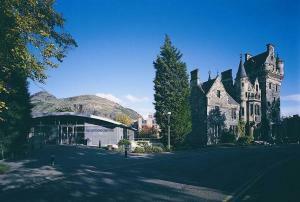 Choose from 64 hotels and guest houses in Lothians. Shown below a just a selection of the hotels available. To search within an area please use the menu on the right. 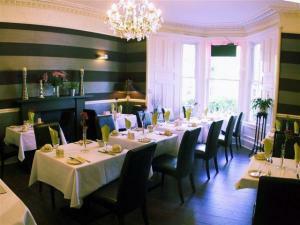 Ardenlee Guest House - In the centre of Edinburgh, just half a mile (0.8 km) from George Street and Princes Street, this Victorian property offers free parking and free wireless internet access. The Ardenlee is next door to the Eyre Guest House, and both are Grade B listed properties, offering a high standard of accommodation in the historic New Town area. Most rooms have an en suite bathroom. Every room has a hairdryer and tea/coffee. A generous traditional cooked breakfast is included in the price. 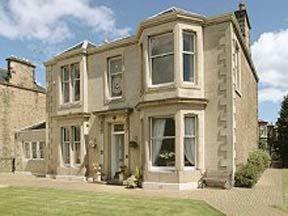 Ben Craig House - Ben Craig House is situated in Edinburgh, the heart of Scotland's capital. Not only do we welcome those on a more leisurely break but also the business user. Our central location in Edinburgh and quality of service has been our advantage in comparison to other service providers for many years and is second to none. All rooms are fully en suite and clearly evident are many original period features and furniture, soft furnishings and elegant fabrics all combine to ensure that guests enjoy their stay. Easy access to all Edinburgh attractions and amenities like Palace of Holyrood, Scottish Parliament, Edinburgh Castle, golf courses, pubs, clubs, and eateries. Sandaig Guest House - A perfect place to unwind, this warm and welcoming Victorian guest house is 10 minutes from the city, and boasts tasteful interiors and well-designed rooms. Sandaig is a family home and occupies 2 terraced Victorian villas dating from the 1870s. Some rooms have king, super-king, four-poster or sleigh beds, and all rooms have en suite facilities and Wi-Fi internet access. There is a regular bus service into the city centre and a wealth of gourmet restaurants in the fashionable Water of Leith area (10 minutes away). Staff are more than happy to arrange fresh flowers or chocolates for a special occasion. Sandaig has been awarded a ' Scottish Tourist Board' 4-Star Rating and is a member of the 'Welcome Host' Affiliation. Sandaig is recommended by the 'Entertainment Guide ' and is a member of the 'Arts Welcome Scheme'. Harvest Guest House - This early Victorian town house is situated on the promenade in Portobello, a charming and distinctive district of Edinburgh. Several of our guest rooms have fine views of the Firth of Forth. Local amenities include a sport centre, swimming pool, and not far from Musselburgh, horse race course and golf clubs. Local amenities are excellent and include various restaurants and takeaways, sundry shops and traditional pubs. This house is a non-smoking establishment. Edinburgh First At The University Of Edinburgh - Based at Pollock Halls at Holyrood Park, this varied B&B campus accommodation is close to the city centre and parliament buildings. Edinburgh First accommodation lies in the shadow of Arthur's Seat and is near to the Royal Mile and the Palace of Holyrood House. Breakfast is served between 07:30 and 10:00 in the self-service restaurant at John McIntyre Conference Centre in the centre of the campus, about 5 minutes' walk from each bedroom. Kingsway Guest House - This privately owned and very popular Victorian guest house offers Scottish hospitality just one mile from the heart of the city, close to all major attractions. Hosts Lizzie and Gary are both originally from Edinburgh, and can share a wealth of information with their guests. Experience the delights of staying in a traditional Victorian house with original features. Please be aware there is no lift, and rooms are located on the first and second floors. Gifford House - A warm welcome is assured at this attractive stone Victorian terrace house, conveniently located just over a mile south of Princes Street on the main A7. Well located for all Edinburgh's amenities, Gifford House offers a pleasant, relaxing stay, with rooms of a high standard. Although lying on a main bus route, the area behind Gifford House is quiet and peaceful, and the rear bedrooms enjoy superb panoramic views towards Salisbury's Crags and the extinct volcano of Arthur's Seat. With its warm and friendly atmosphere, Gifford House is a place guests return to, and recommend to their friends. A full Scottish breakfast is served, with a large selection of dishes including smoked fish, mackerel and kippers. Special diets are also catered for if required. Highfield Guest House - Originally built in 1883 as a family home, this elegant Victorian terraced house is now a charming family-run guest house offering free Wi-Fi, delicious breakfasts and a warm welcome. Rich in original charm and traditional character, the Highfield Guest House is located in the Newington District, close to Edinburgh University's King's Buildings. The very heart of Edinburgh's city centre is less than a mile (1.6 km) away and there are regular bus services. Tastefully decorated and with many original features, the Highfield offers 4-star guest accommodation. The rooms are bright and spacious, all with TVs, clock radio alarms and hairdryers. Towels, toiletries and a hospitality tray are provided. 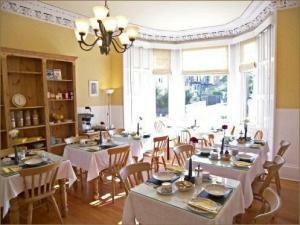 Full traditional Scottish breakfasts are freshly cooked to order and vegetarian options are also available. The Highfield is family run, and with just 5 rooms, your hosts, Maggie and Gordon, offer a warm welcome, a friendly, relaxing atmosphere and traditional Scottish hospitality. 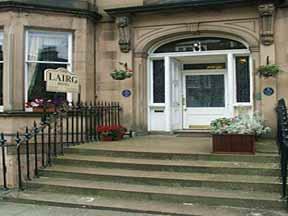 The Lairg Hotel - Personally run city center guest house with all the amenities of a small hotel. Charming period listed building offering high level of comfort with a friendly service. The Lairg is a privately owned, charming , traditional 'b' listed town house Hotel, central to all attractions yet peaceful, quiet and relaxing. For your comfort we offer 11 fully equipped en-suite bedrooms modernized to an exacting standard. We will start you off in the morning with a mouth watering selection of bread, pastries,fruit, full cooked breakfast and traditional Scottish fare such as smoked salmon and kippers (smoked herring). Whether you are a corporate traveller or a holiday maker, we will ensure that your stay at The Lairg is comfortable warm and relaxing. Edinburgh is a beautiful city, with a rich and colourful past, well worth a visit for pleasure or staying a few extra days if on business. The Lairg guest house is in the Haymarket area, West End of the city centre and makes an ideal base for exploring not just Edinburgh, but also the outlying attractions. The Edinburgh International Conference Centre, Princes Street, Edinburgh Castle, the Royal Mile, the Scottish Gallery of Modern Art, Murrayfield Stadium and West Register House (for genealogical research) are all within easy walking distance of The Lairg. Edinburgh's excellent and convenient public bus service gives quick and easy access to the other parts of the city, and the regular bus and train services to Glasgow, the West and the North of Scotland are just a few minutes walk away. Martins Guest House - A welcoming Victorian villa, family-run Martins Guest House has free Wi-Fi and original period features. Waverley rail station is a short drive away. Each comfortable room has a TV and an inclusive breakfast is provided. The hosts are friendly and welcoming. There are games and a DVD library. The guest house is just a 20-minute walk from Edinburgh Castle and Princes Street. There is access to an excellent bus service, outside the guest house.